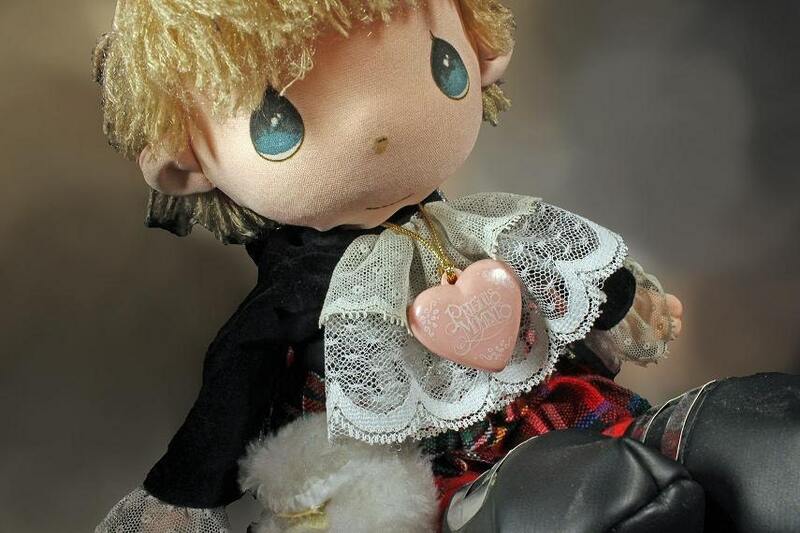 A cute Precious Moments doll named Eric and made by Applause. 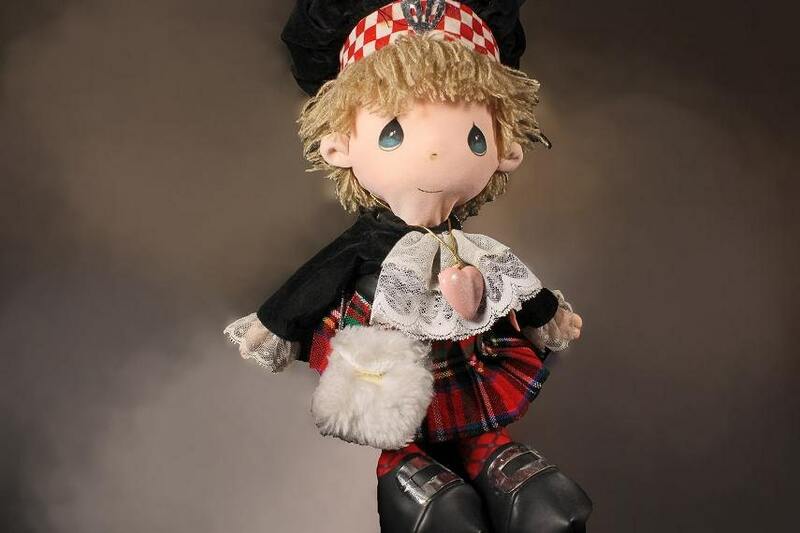 He is dressed in a Scottish outfit. He has a Precious Moments Heart locket and an Applause tag on his left arm. The locket states "God Bide W'ye". 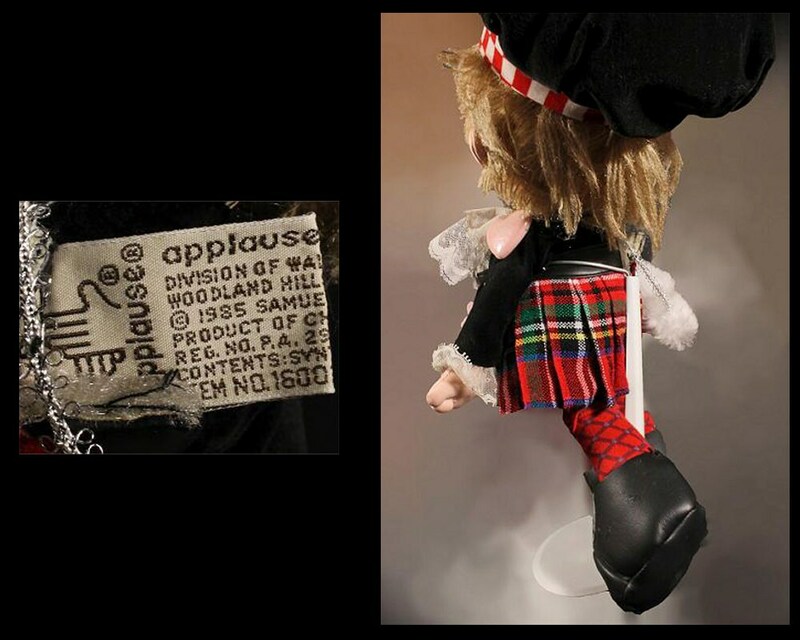 He comes with his Precious Moments stand for display and is dated at 1985 making him 30 years old. The doll is in fair condition. 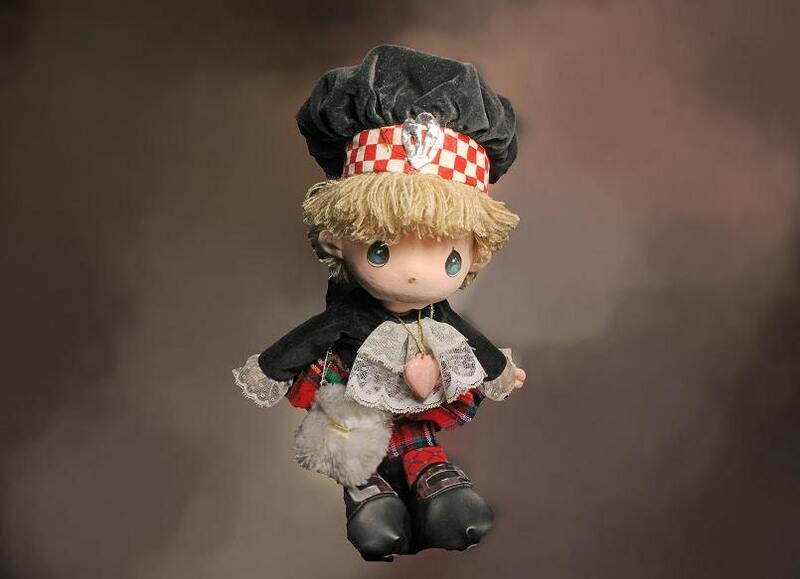 It was stored on a shelf and the dust has left his hair and the lace on his clothes a bit discolored. Our price reflects these imperfections. 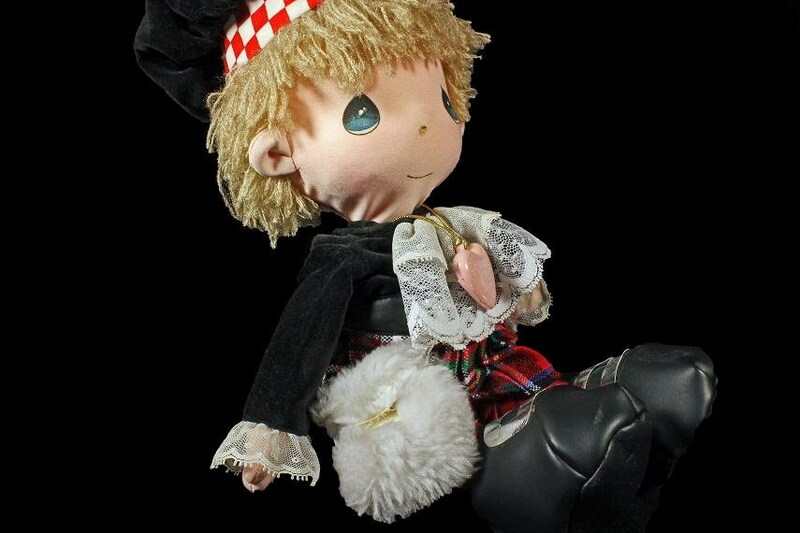 A great doll for the collector or just to be loved. He does need a new home and maybe it could be yours.